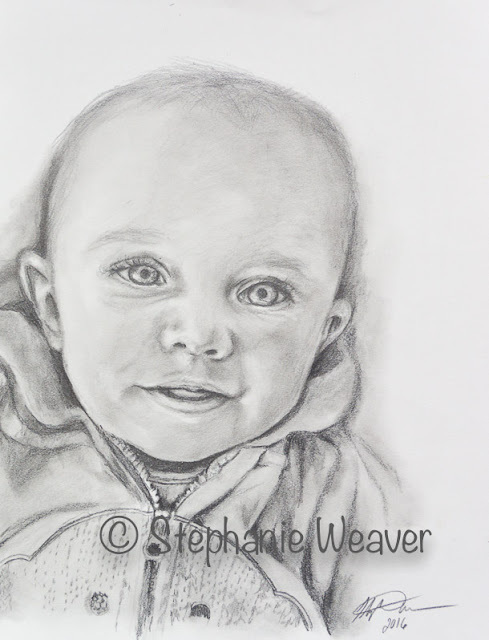 "Cooper" ," 11" x 14", graphite drawing is the handsome son of a good friend. Meet Cooper! Cooper is heading home to his mom and dad. If you'd like a custom portrait of your loved one, please let me know.